Your CV and cover letter may well be the first things a potential employer ever sees about you so making them sparkle isn’t optional. 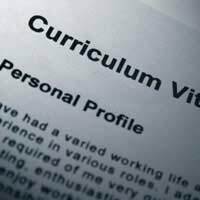 Think of your CV and cover letter as your first impression, an introductory package that recommends you so highly that no one in their right mind would think of throwing them into a slush pile or dropping them into a shredder. Of course we all know that this is the high standard to which our documents should aspire, but actually writing up these masterpieces can be a whole different story. If you don’t know where to start with your CV and cover letter, follow these helpful hints and hopefully you’ll be so successful that you won’t need them again for a long, long time! Your formal name, address and contact details. A truthful educational history including secondary and third level education. A truthful employment history with a short description of each position that you have held that includes duties and assignments described using strong verbs. Any awards or honours you may have won. Miscellaneous skills such as languages or technological skills. The names, positions and contact details of at least two referees. Enough technical or industry vocabulary to support your claims of industry experience. The formal name, address and contact details of the company to which you are corresponding. The name and position of the person in charge of recruitment (as listed in the job ad). A mention of where you saw this job advertised. Language and content targeted towards the position for which you are applying. The way your CV and cover letter look is almost as important as what they contain. When you are satisfied with the text of your documents, make sure that you save them in an easy to read font such as 12 point Times Roman Numeral. Print these documents to good quality white or cream paper and send them in a business size envelope so that nothing needs to be folded. Try to use professional looking stamps and make sure you keep signed copies of everything you send. When you bag an interview, make sure to use the same paper, style and format of these documents in your follow up letters. Good luck! Questionnaire: Do You Have a Professional Image?